Since Oak Ridge National Laboratory (ORNL) was established in 1943, brilliant researchers and scientists from all over the world have gathered in Oak Ridge, churning out hundreds of astounding innovations that have transformed billions of lives. And the spirit of innovation surges beyond ORNL’s campus. Thanks to Oak Ridge’s ingenuity, this region, known as Innovation Valley, has become a prime location for several high-tech businesses. Oak Ridge also continues to play an instrumental role in strengthening the safety and security of America and the world through Y-12 National Security Complex, which was built in the midst of World War II as part of the top-secret Manhattan Project. As America’s efforts to develop an atomic bomb amplified in World War II, tens of thousands of workers flocked to Oak Ridge, most of them unaware of what they were building. Just two and a half years after Oak Ridge was founded, its population ballooned to 75,000, making it the fifth-largest city in Tennessee at the time. 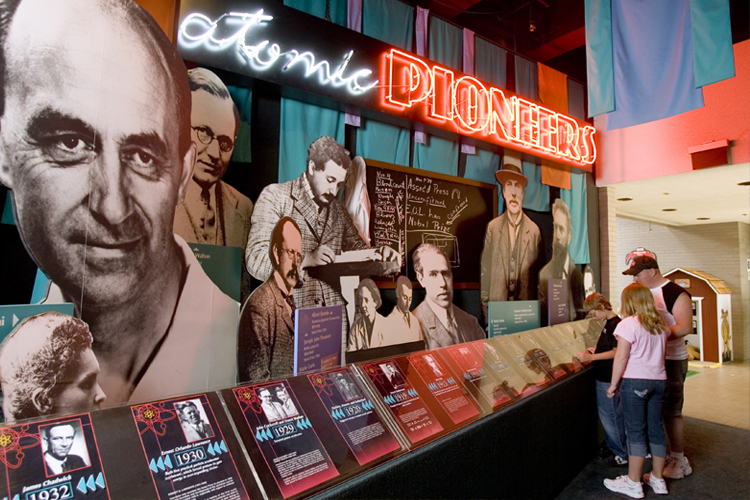 Oak Ridge’s fascinating role in scientific achievements is chronicled throughout the American Museum of Science & Energy. For STEM teachers searching for inspiring science field trips, AMSE offers innovative learning opportunities that students won’t forget. As one of the best science museums in the southeast, AMSE’s diverse exhibits demonstrate how STEM education is applied in real-world settings. STEM teachers should also look into scheduling a tour of ORNL for their students. From one of the most powerful supercomputers in the world to 3-D printing, ORNL has countless ways to show how excelling in STEM education can lead to fascinating careers. Groups must consist of 10 people or more and should be scheduled at least two weeks in advance. Tours in 2015 run from March 2 through Nov. 27, except on Sept. 7. For more information about visiting Oak Ridge, contact the Oak Ridge Convention and Visitor’s Bureau at 865-482-7821 or email info@oakridgevisitor.com.